The Sabi Leaf 01 by Paper Collective poster motif was designed by Norm Architects. The Sabi leaves are an expression of the frozen time. They withstood wind and weather, rain, heat and cold. Their notches, shavings, bruises, scars, dents, peelings and other forms of attrition are evidence of their history. Even if the leaves are on the verge of dematerialization, they still possess an undiminished attitude and strength of character. Paper Collective always donates a portion of its income to a non-profit organization chosen by the designer himself. In this case you will help to build the Paper Collective School in Nepal. The company also focuses on sustainability and environmental awareness in the production of its posters. Paper Collective's prints are produced directly in Denmark, are FSC-certified and bear the Swan eco-label. The Sabi Leaf 01 motive is printed on 200 g heavy Munken Lynx paper in archive quality. 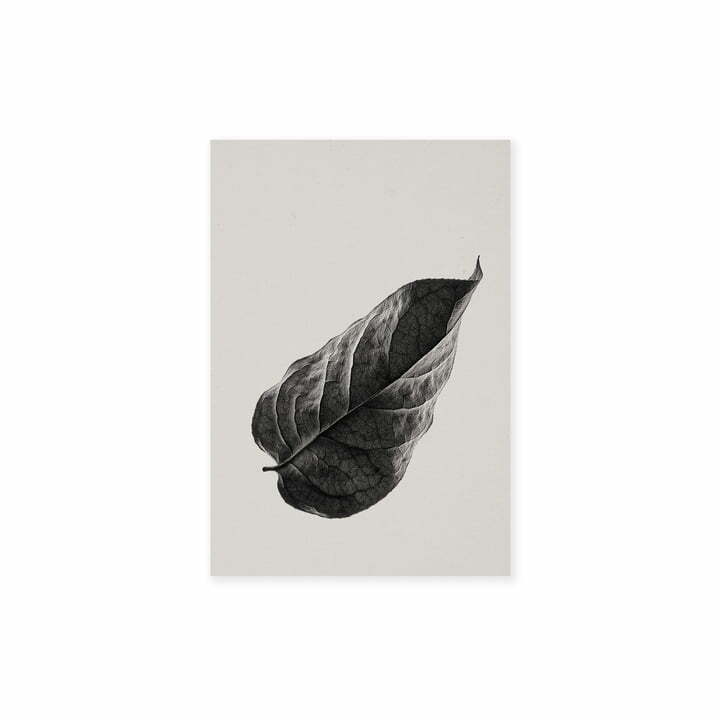 The Sabi Leaf motive number 01 in the measures 30 x 40 cm of Paper Collective in the product single view. The Sabi leaves are an expression of frozen time.